Some people have been asking about the music that opens each lesson video of Data Mining with Weka. It’s the start of the Allegro movement of Mozart’s Divertimento No. 2, arranged for three clarinets by Michael Whewell. Every week for many years now, clarinetists meet at my house to play music for fun. We joke that we’re slowly changing from a music group that eats beforehand to a dinner group that plays afterwards! We share food, wine, good company – and, of course, music. We play classical music, contemporary music, ethnic music, jazz – right now I’m obsessed with tangos by the Argentinian composer Astor Piazzolla. 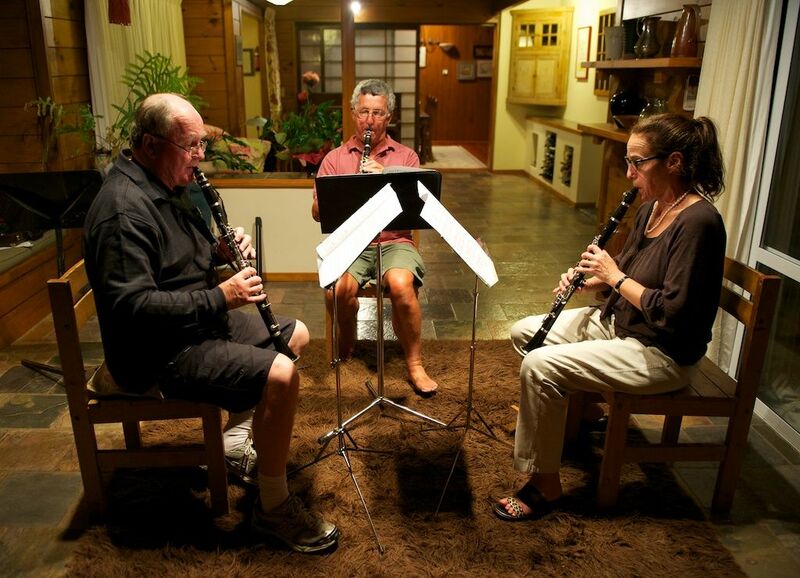 I have a large collection of music for clarinet duets, trios, quartets, quintets, and sextets. Here’s the lot of us – six, along with some additional fans (including a garden gnome) – at Woodside House on beautiful Waiheke Island near Auckland, where the opening music was recorded. The Mozart that opens Data Mining with Weka was played by three of us (I mistakenly imply four in one of the videos). Here we are, this time in my house. That’s Paul, me in the middle, and Sarah. You can hear more music by going to my home page; I’ll play another tune every time you refresh the page. The music that closes each video, and the matching opening music for the Questions videos, is specially composed for Data Mining with Weka by Teresa Connors of DivaTproductions Inc. Originally from the musically rich island of Newfoundland, Teresa studied both Composition and Opera singing at Dalhousie University (in Nova Scotia, Canada) as well as the Banff Center for the Arts. 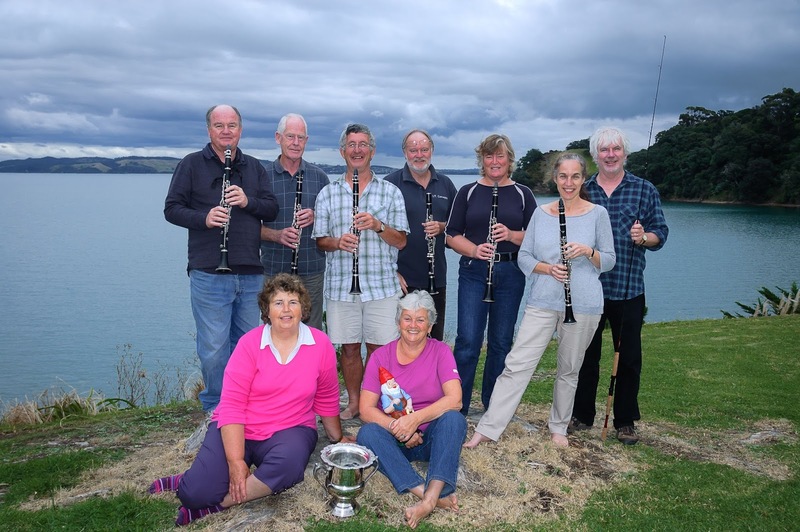 She has recently completed a Master of Music degree in the Music programme here at the University of Waikato. More of Teresa's work is available on her Vimeo channel.